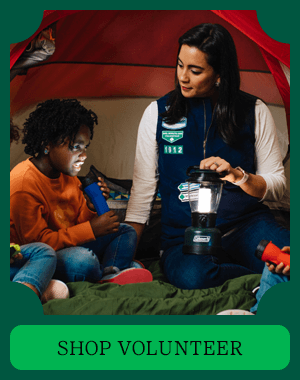 Girl Scouts is the premiere leadership organization for girls, providing girls with the opportunity to DISCOVER their world, CONNECT with others and TAKE ACTION. 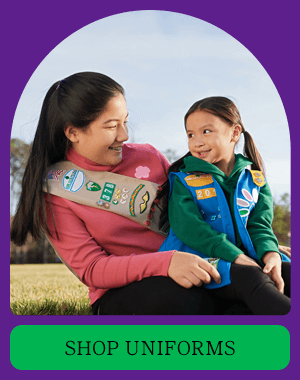 We serve approximately 35,000 girls in grades K-12 in 178 communities across eastern Massachusetts, and engage approximately 15,000 committed and caring adult volunteers who make learning fun and support girls as they find their personal pathway to leadership. 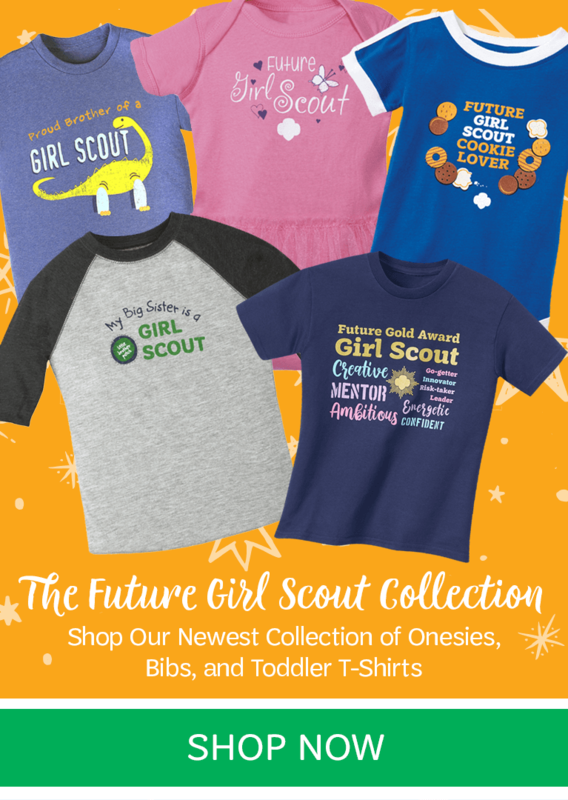 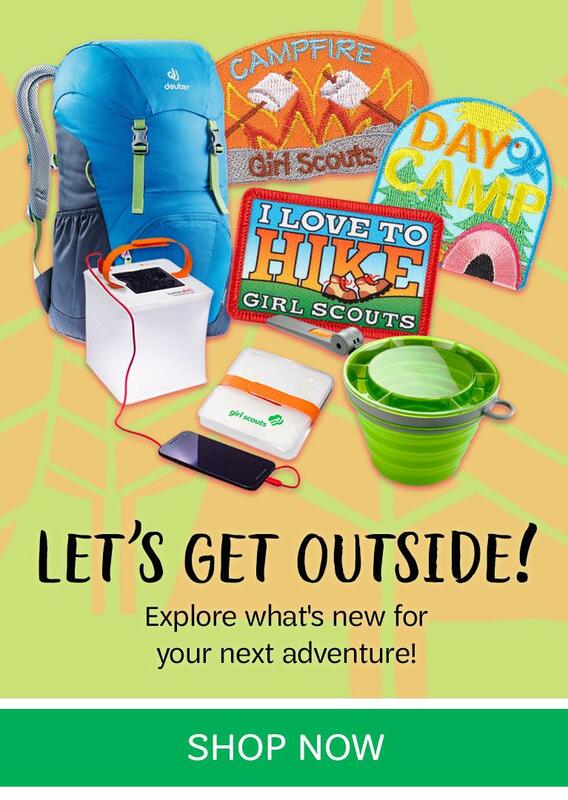 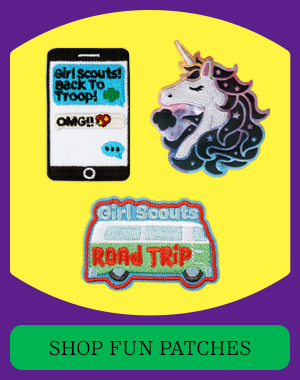 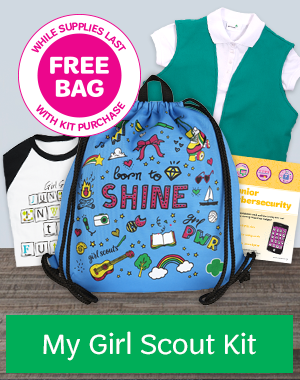 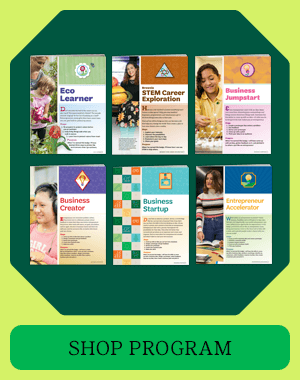 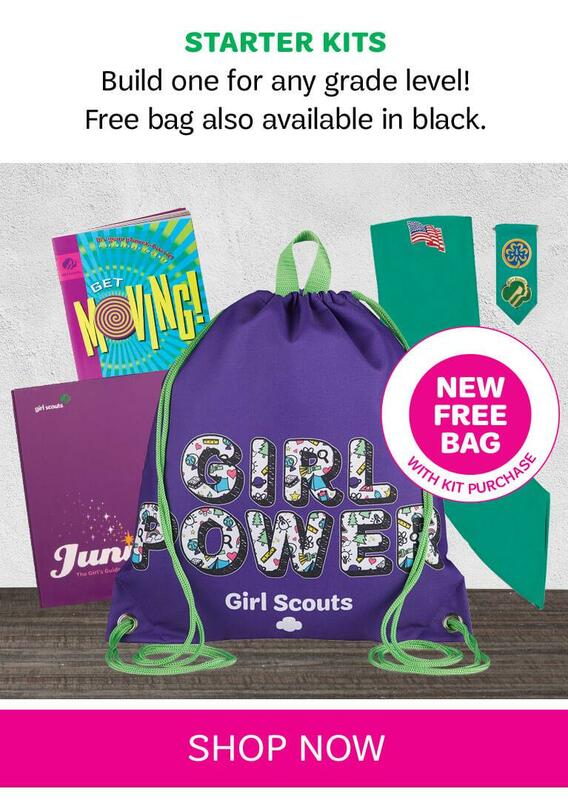 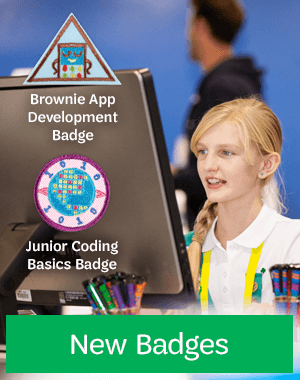 Our shop is the perfect place to find Girl Scout essentials including Journey books, patches, badges and pins, and uniforms; packing list items for camp; a gift for a dedicated Girl Scout volunteer, or branded clothing to show your Girl Scout pride. 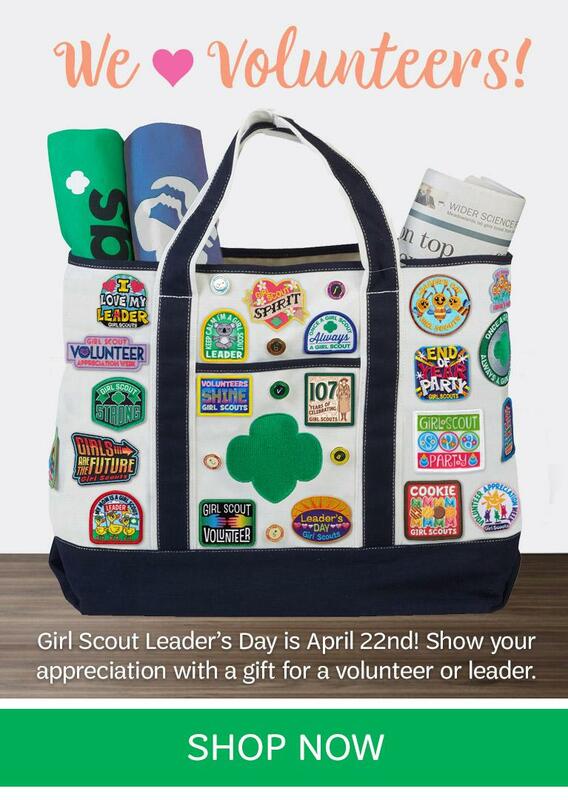 Thank you for celebrating the leadership potential in every girl.